More than just a slogan, it’s become a rallying cry for the nearly 7.5 million Catalans who wish to demonstrate to the world that their culture, history, and language are far removed from the traditional concept of Spain. As a recent visitor to the city of Barcelona—the capital of Catalonia—I deliberately took interest in the sentiment of separation because of the region’s similarities with my own birthplace, the Canadian province of Québec, which also hosts a vibrant independence movement. Closed Chapel in Park Güell, Barcelona, Catalonia. Photo by Melanie Pfeffer. Much like the sovereignty movement in Québec, the pro-independence forces in Catalonia want to break free from the financial and political controls in Madrid. And they are using the distinct Catalan identity as the key underpinning for a future without Spanish rule. In a time of grave economic crisis in Spain, where centralization of power and inflated debt are the only offered cures to disaster, Catalonia is in a unique position to rebuke the dictates from Brussels and Madrid and chart its own path to freedom. To protect and defend their Catalan culture and language. To stake their claim to territorial integrity within Spain. To remove the political strings pulled from the central government in Madrid. To recover the large tax contributions from Catalonia, redistributed throughout Spain. In short, they want to decide their own future at the most local level as possible. 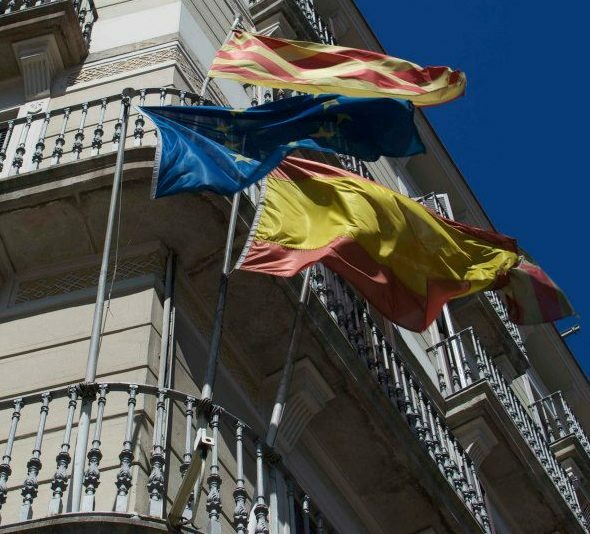 Currently, there are over 180 town halls flying only the Catalan flag, the traditional red and yellow stripes with the blue star. They refuse to endorse or even display the Spanish flag. 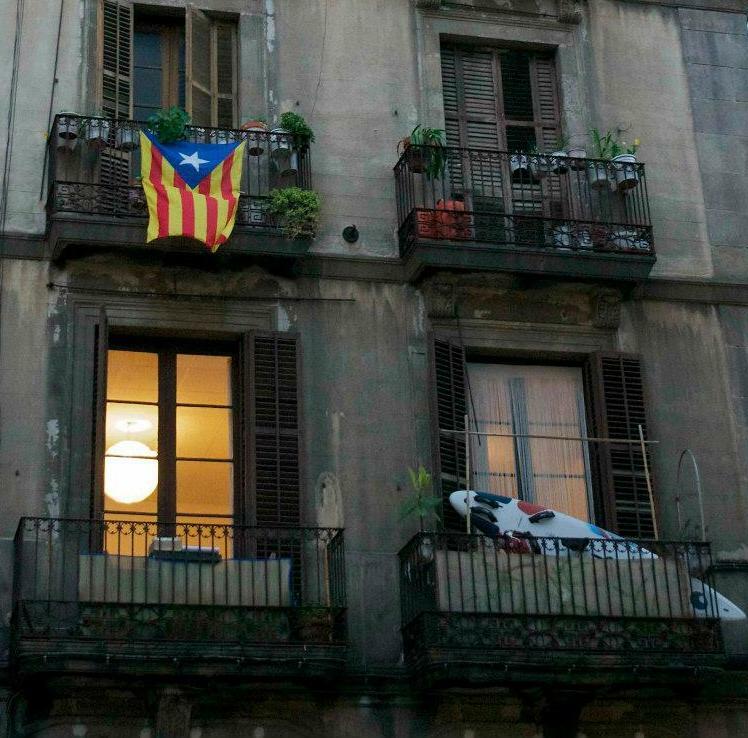 The Catalan Flag hangs from a balcony in Barcelona. Photo by Melanie Pfeffer. After nearly 40 years of dictatorial Spanish rule by Generalísimo Francisco Franco, who suppressed the Catalan language and stamped out all autonomous movements in the region from 1936-1975, the town’s gesture has ramped up the emotional connection to the idea of a free Catalonia. In modern times, one of the key representative vehicles for Catalan independence is the Futbol Club Barcelona,popularly known as Barça. Its matches often become very patriotic and nationalistic affairs for Catalans, complete with flag-waving, anthem-singing, and the “call for independence” at 17:14 in the match. 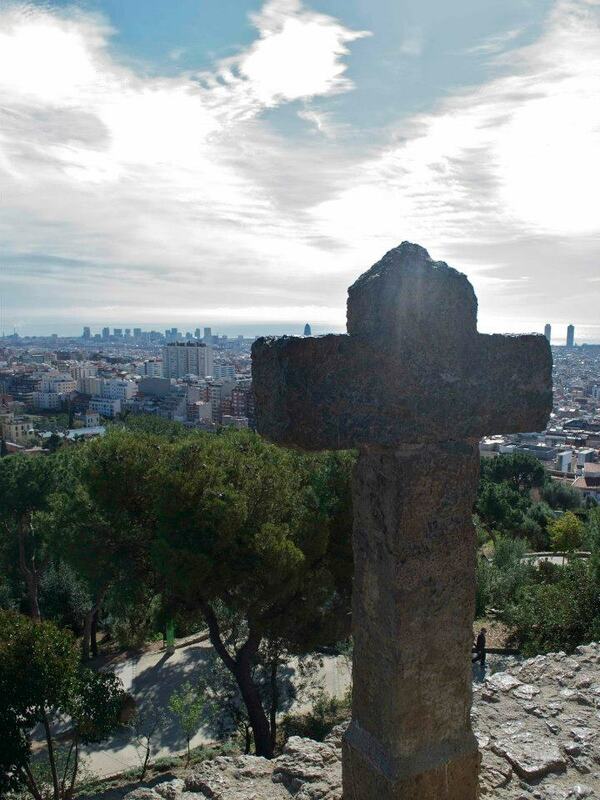 That represents the Sept. 11, 1714 defeat of Catalan troops fighting for secession from Spain. This short Guardian documentary on FC Barcelona’s role in Catalan independence goes into more detail, showing the club’s political motivations as well as cultural significance. But beyond just football matches, Catalans are also prone to stake their claim for independence in the streets. 1.5 million Catalans march for independence in Barcelona on Sept. 11, 2012. 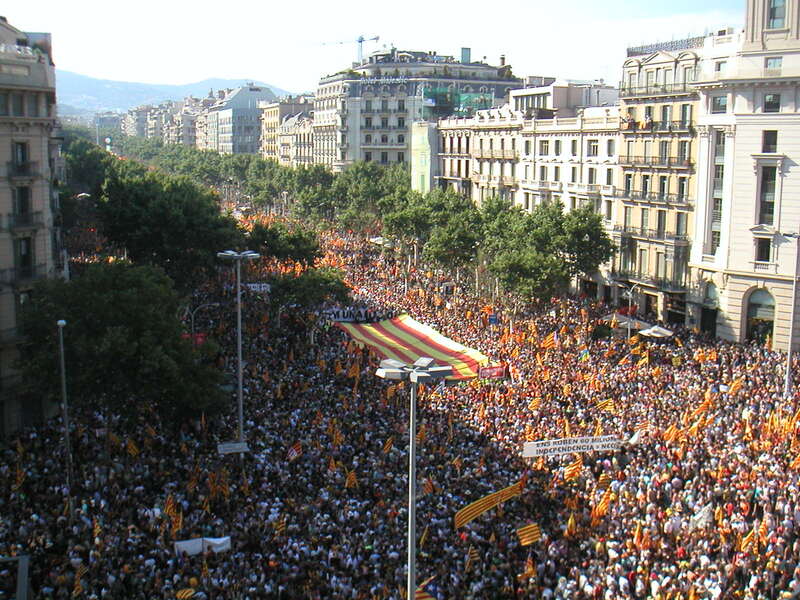 On Sept. 11, 2012, the National Day of Catalonia, over 1.5 million Catalans descended into the streets of Barcelona to call for self-determination. Just two weeks later, the Catalan Parliament voted 84-21 to begin the process for a referendum on independence, leading nearly two-thirds of the Catalan electorate toopt for pro-independence partiesmonths later in the Nov. 2012 regional elections. On Jan. 23, 2013, the newly-elected Parliament declared sovereignty from Spain and promised a referendum in 2014. While Spain may be in the midst of its worst economic crisis, suffering with an all-time high 26 percent unemployment rate, Catalans believe their economic fate would be better without Spain. “In any case, Catalonia is one of the Autonomous Communities with the mildest recession in Spain and continues to be that with the highest GDP,” writes the Catalan News Agency earlier this week, pointing to the 0.2 percent drop in unemployment in March. In 2012, while the Spanish GDP shrank by 1.4 percent, Catalonia’s fell by just 1 percent—not such a huge difference, but enough to add to the perception of the rest of Spain as an economic burden on Catalans. 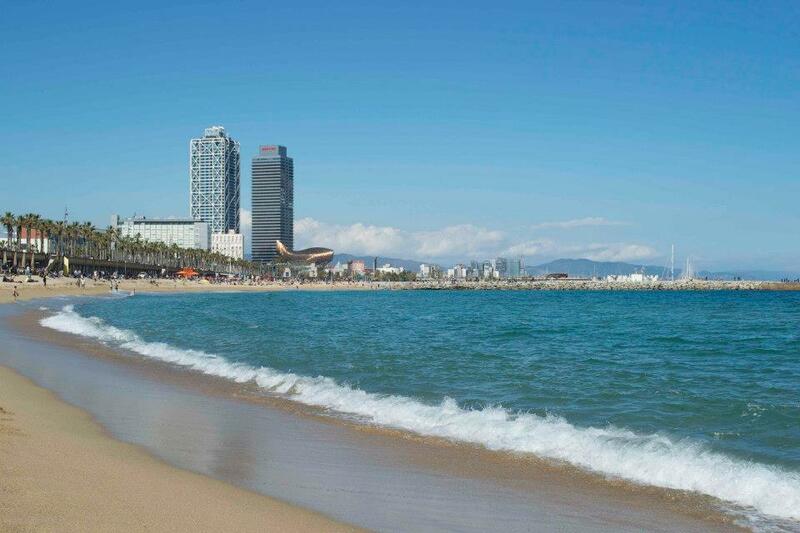 Barcelona’s beautiful beach, watched over by the business and finance section. Though Catalonia boasts one of the nation’s highest GDP’s per capita, it also remains the most indebted region of Spain. Independence supporters reject this fact because of the €16 billion in taxes—nearly 8 percent of Catalonia’s GDP—sent to Madrid each year. If Catalonia achieved independence, it would be ”like some kind of engine of the south of Europe,” claims Marc Guerrero. He is a senior leader in Convergència Democràtica de Catalunya, one of the two main separatist parties leading Catalonia’s government. Artur Mas, the CDC party leader and current president of the Generalitat of Catalonia, has made economic secession and sovereignty the ultimate selling pointof Catalan independence. Perhaps the most challenging aspect of envisioning a free Catalonia is where it would stand in Europe. Though nearly 51 percent of Catalans support independence from Spain, according to the Centre d’Estudis d’Opinió, the number falls dramatically when exclusion from the European Union is factored in. In the city of Barcelona, Catalans told me the hardest part about independence would be entry into the EU, which would most definitely face a Spanish veto and a subsequent rejection. Despite Catalonia’s push for independence, most Catalans want to stay in the European Union. Photo by Melanie Pfeffer. Herein, therefore, lies the ultimate paradox: much like the Scottish National Party in the United Kingdom, who are seeking their own referendum in 2014, the pro-independence parties in Catalonia want independence from a national government, but are happy to give up some of their sovereignty to the supranational authority of the EU in Brussels. So though they want to achieve political and financial independence, they want to continue to observe laws and regulations passed by the European Commission. They want to continue to use the Euro. They want to continue to have Brussels impose fiscal targets while threatening large penalties for spending too much. Rather than seek the Belgian solution or the Dutch solution by falling back on the EU, Catalonia should seek the Swiss or Norwegian solution. They should seek independence and remain in the community of European states, individually negotiating treaties and boosting their potential for economic dominance in South Europe. The Catalan people may stand a chance for independence from Spain, but if they wish to completely retain their sovereignty, monetary authority, and have the power to enforce their own laws, they cannot wed their future to the European political project—their freedom depends on it.